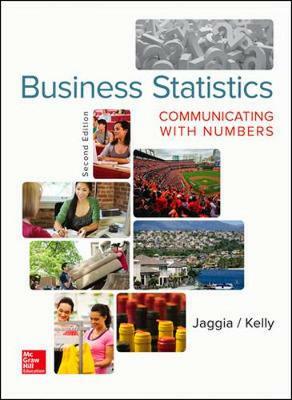 Overview: The second edition of Business Statistics: Communicating with Numbers provides a unique, innovative, and engaging learning experience for students studying Business Statistics. It is an intellectually stimulating, practical, and visually attractive textbook, from which students can learn and instructors can teach. Throughout the book, the authors have presented the material in an accessible way by using timely business applications to which students can relate. Although the text is application-oriented, it is also mathematically sound and uses notation that is generally accepted for the topic being covered.